The comprehensive directory for apparel manufacturers, designers, merchandisers, trim buyers, fabric buyers and production departments in the men's, women's, children's and accessory markets. 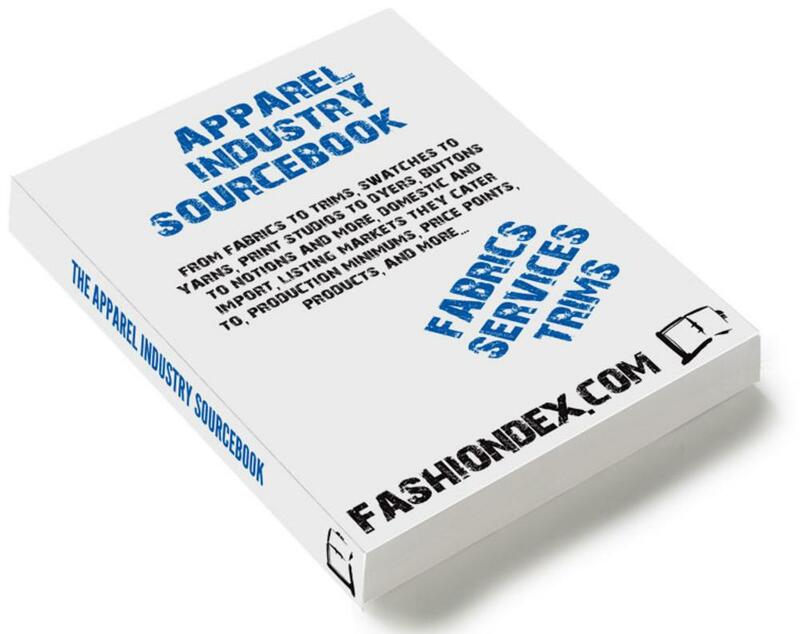 A complete and up-to-date guide listing nationwide suppliers of all types of fabrics, trims, notions, forecast services, swatch design studios, CAD services and more for the apparel industry. Apparel Industry Sourcebook is manufactured with Sustainable Forestry Initiative® Certified Sourcing.